"A delicious, sweet version of candied sweet potatoes." Preheat oven to 400 degrees F (200 degrees C). Grease a 9x13 inch baking dish. Bring a large pot of water to a boil. Add potatoes and boil until slightly underdone, about 15 minutes. Drain, cool and peel. I used 3-17oz. cans of sweet potatoes, reduced the butter to 1C. and reduced the brown sugar to 3/4 C. It couldn't have been easier and the family devoured it. Will definitely make it again. I thought this was a great recipe. The only complaint I had was the amount of butter. Next time I'll try to cut it down a bit. They were yummy anyway! 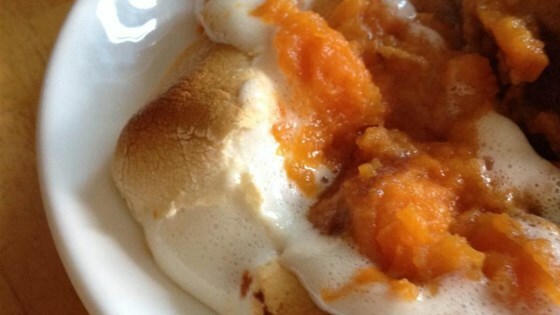 Best recipe for candied sweet potatoes I have ever tried. Everyone loved them!